BBC America’s version of Douglas Adams’ Dirk Gently’s Holistic Detective Agency is the latest entry in what is becoming a genre all its own these days: Know-it-all British men barging into normal people’s lives and dragging them into adventures. 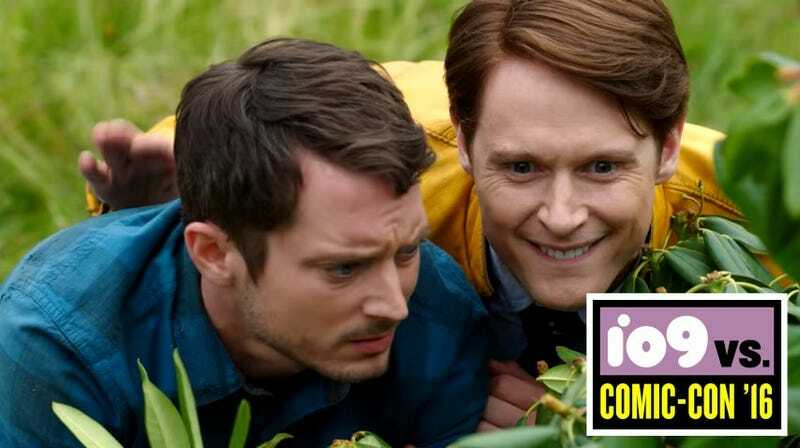 In this show’s case, the man barging in is Dirk Gently (Samuel Barnett), who is investigating a death and kidnapping, and has determined that Todd (Elijah Wood) has no choice but to investigate the crime with him. Also, there’s a corgi for some reason.